The German blog MUSIKBLOG did review Edwin´s music and video “Loving You”. 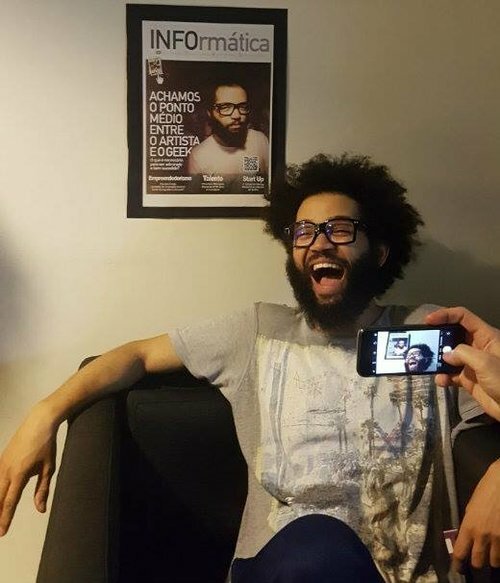 Edwin was the cover of the Panamanian Magazine "Mi Escenario", which defined Edwin´s first live performance in this country as "Electrifying!" The Panamanian newspaper "Mi Diario"wrote an article about Edwin´s solo career and his nomination as "Best Rhythm & Blues Singer" in the 35th German Rock & Pop Awards 2017. The Argentinian entertainment and music blog Rocktails did premiere and review Edwin´s song "Doo Wop (That Thing)" in this country. Esto es definitivamente una canción para ligar (o para que no te dejen) con una carga pasional pesada y con variaciones de intensidad que le aportan el dinamismo necesario; y que además confirman a Edwin como cantante. First words ever written in USA about Edwin´s work. 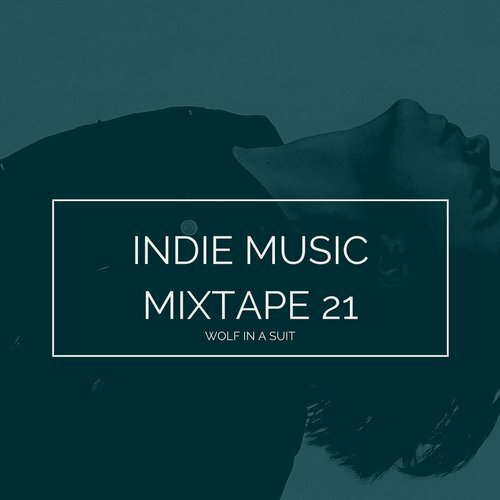 The American music Blog "Wolf in a Suit" included Edwin in a cool Mixtape along with amazing indie artists (Beautiful words by the way). Why? [Edwin]... delivers sultry and inviting vocals in an indie RnB/Pop gem that is refreshing, haunting and also manages to remind us of a great artist that actually inspired Edwin – the uber talented and mesmerizing Lauryn Hill. 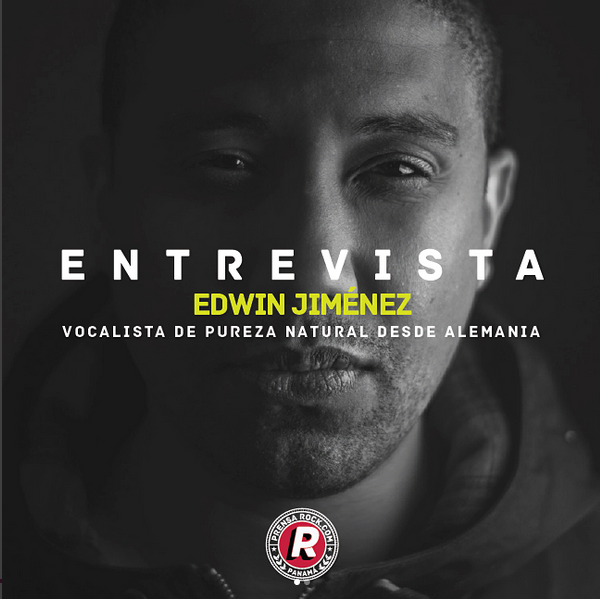 Prensa Rock, one of the most relevant music magazines in Panama, wrote an article about Edwin´s most recent achievements and congratulated him for his nomination as "Best Rhythm & Blues Singer" in the 35th German Rock & Pop Awards 2017. 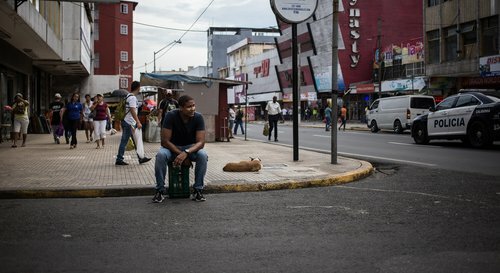 ...nos llena de orgullo escuchar que un panameño la esté “botando” afuera con tan buena música y convirtiéndose en un referente dentro de la escena alemana. The Music Blog "Son Of Marketing" did premiere Edwin´s second single "Doo Wop (That Thing) in Italy". The Brazilian columnist Jacidio Junior did premiere Edwin´s second single "Doo Wop (That Thing) on the Brazilian Entertainment Portal "Omelete". The German Music Blog Indieliebtdich gave Edwin a beautiful critique to his single "Doo Wop (That Thing)". Ein Tribute an Ms. Lauryn Hill. Das klingt zuerst sportlich, kann man einen Song wie Doo Wop neu arrangieren und dabei auch noch gut klingen lassen ? The Mexican online magazine Nota Random, wrote an article about Edwin and his work, defining him as a young promise in the german music. ... Nada más encontrarse con el sencillo “Games in the Darkness” se puede advertir el inusual manejo de la digitalización de instrumentos de un conjunto musical variado y armónico. Cultura Colectiva, a relevant cultural platform of Art, Photography and Music in Mexico , wrote an article about "the 5 artists, who will make you fall in love again with the vintage sound of soul and R&B", including Edwin in this list among amazing artists like TheWeeknd, Justin Timberlake and James Blake. Les Inrockuptibles, one of the most relevant music magazines in France, wrote a short article about Edwin, introducing him as a must-listen-to New Artist. ... d’une sorte de soul vaporeuse et futuriste – le genre James Blake, Lana Del Rey et compagnie, oui. 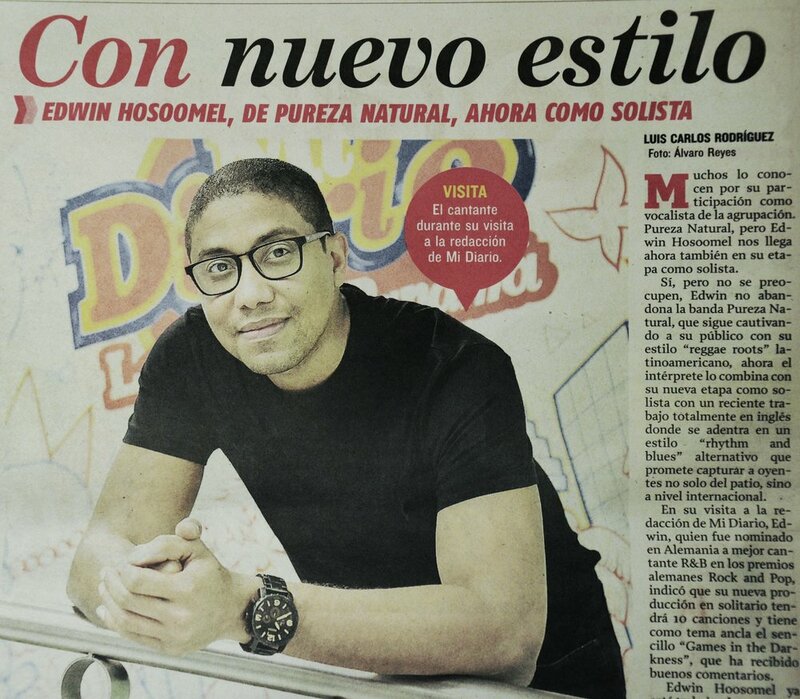 Prensa Rock, one of the most important Panamanian music magazines, made an article about Edwin and his debut as solo artist. Edwin was chosen by the German radio station Detektor.FM and its listeners as "Best Newcomer" for his debut single Games in the Darkness.